What would you do if you suddenly found yourself face to face with Larry Page, the CEO of Google? Would you prepared to hold a conversation with him? What about if you bumped into Meg Whitman, the CEO of Hewlett Packard? What would you say? 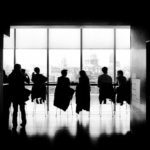 While the likelihood of us bumping into these executives is pretty small, it’s more likely that you might bump into your company’s executives unexpectedly or be asked to communicate with them as part of your job. In our discussions about communication in the workplace some of the things we’ve already covered certainly apply to executives such as making a connection. Thinking with the executive in mind is critical for a successful communication strategy. Unlike communication with your peers and manager where you probably have multiple opportunities to course correct if an interaction does not go favorably, the opportunity to course correct with an executive is usually pretty limited, so translating what you observe from them and applying the best communication approach really counts. Remember when you identified the role of your manager in a previous module? Try multiplying that role by 10, and you’ll see that executives spend their days juggling multiple business priorities ranging from developing strategy to problem solving, to analyzing financials, to leading a team and that’s on a good day. When communicating verbally or in writing, deliver your message in a bullet point fashion and reference that the detail is available, without making the executive feel that they need to look at it. While in all likelihood, you’ll consider your timing and delivery of your executive communication. While you may be going along, meeting all of your deadlines and preparing for a pre-arranged meeting with your executive, proactively prepare what you might communicate to the executive, if schedules change, and instead, if you bump into him in the hall, in the field, or receive an unexpected email for him or her. If you happen to have access to the executive in an informal setting such as a holiday gathering or dinner, check in with a peer or manager to determine whether that’s an appropriate setting to communicate business, as the norms vary greatly from organization to organization. Well, you now have a toolbox full of techniques to support your communication with peers, your manager and executives. Anthony, what I wanted to talk to you about today was to help us better understand how we can communicate with our managers, especially those who are higher up in the organization. Okay, well I’ve been coaching and mentoring senior leaders for about a decade. I’ve been coaching and training people in the workplace to work better with their managers and with other people in their workplace for about 20 years. Okay so Anthony what advise do you have for people who need help communicating with their managers? Well Margaret, what’s been helpful in communicating with anybody, for me, is to be able to understand their preferred working and communication styles. Well DISC is a four styles model and the DISC is an acronym for dominance, influence, steadiness and compliance which makes it really easy to type people into four styles by asking yourself just two questions. Secondly, is this person’s impulse to make decision through facts and logic or is their impulse to make decisions through people and emotions. Three, someone whose impulse is to act slowly and make decisions on emotion, and fourth, someone whose impulse is to act slowly and make decisions on logic. Okay, is it really that easy to type people? Well, it’s a little bit more nuanced than that, because we don’t always act on our gut preferences. For example, you might have someone whose instinct is to make decisions by emotion. They’ve learned to make most of their decisions through logic. Or someone who’s really naturally rather slow-paced, but they work in a really fast-paced environment so they’re making lots of decisions really fast. Okay, now how would you suggest we get started typing people? Well, since it can be a little bit nuanced and challenge to type people, what you should do is start typing the people who’s styles are really obvious. What are the traits that person would have? Well, they’re direct, brief, and results oriented. Well the truth is that all four styles are often leaders at the top but this is the one that’s our stereotype of the strong leader. Well then what’s the best way to approach them? You’ve got to be brief, direct and to the point yourself. Exactly, you want to be well prepared so that you can be brief when you’re talking to them. You have to present them with alternatives when it’s time for them to make a decision and then let them make the decision. So I’m going to leave the decision making to them. Let’s discuss the person who’s fast-paced and likes to make decisions through emotions and other people. They relate well to other people and as leaders they’re very charismatic. So this is the high I type, and what’s the best way to approach a high I type? Well it’s best if you can paint a picture, create a vision of what you want the results to be and you also want to share some of your emotions and you can relate to them personally. Okay so if I’m following then, the best way to approach a high I manager would be build rapport, be friendly. Now, we’ve covered the high D and high I, so I’m going to put a big bet on the line here and say high S is next? High S, their inclination is to take their time before acting and make decisions based on people and emotion so the s here stands for steady. What else would you like to tell us about the high s? Well a high s manager is slower paced and their natural preference is to make decisions through emotions. So our approach to a High S manager is what? Well, you need to start by breaking the ice and being a little bit personal. So again going back to the original two questions we asked, the high c’s inclination is to take their time before acting and to make decisions based on logic. Lots of High Cs in IT. So when communicating with a High C manager, what’s best? You really want to be well prepared and well organized. With the high C, you want to do it because they’re going to ask detailed questions. Don’t try to influence them to make a decision. Let them know what the pros, and the cons are, and then let them make their own decision, and know that they may not make that decision on the spot. Okay, so that’s interesting so people could be watching in and trying to type you and I right now, right? Okay. Okay, well this makes sense because human beings can be complex right? Absolutely. I’m sure there’s a lot more we could discuss, do you want to maybe point us at some references? Well the big thing that I would suggest you all do about four seconds after we close this session is Google Disc, d-i-s-c. You’ll find lots of information. Is there anything else you would like us to know? I think that DISC is just really a great style for, not only for working with managers, but for working with and communicating with all of the people in your life. Thank you for being with us and teaching us about DISC. Well, thank you so much for having me. Together we are going to consider some of the approaches you can use to convince your senior management the ideas that you are presenting is worthy of their time and their consideration. The truth is, your ability to persuade your executive begins before you ever really meet with them for a face to face. Why is this true? Because most times, before you meet them, before you’re allowed to speak to them, somebody has already told them about you. Now what does this mean? It means that, frequently, your executive team will already know a bit about you before you enter any kind of discussion with them. The reason they know about you is because they have seen you work or they have heard about you or they know about you from your boss and others. Now is this always true? No. There are certainly times when you will bump in to your senior management in the hallway, or the parking lots, elevator, maybe, and then you may build some kind of rapport with them. A long time ago, when I was brand new computer programmer, when our company vice president came to me to create some sales reports, okay. Most of the time you’re going to be able to prepare for your discussion or presentation with your senior management. Be prepared to speak more or if you are asked to cut your presentation, make sure you know where to make cuts, so that you know the most important points that you are going to present. As you prepare to persuade your senior management, think about how you are going to frame the discussion. When you can quantify those benefits, and be able to back up your numbers, now you’re speaking the language of most of the executives in the room. Do not just report dry numbers using charts, and especially do not tell them information that they already know. A presentation I recently saw on comparing pay rates across two different groups, made a compelling case by showing the statistic, and then showing pictures of the people impacted. What really made it impactful is that if one person made only 50% of another, only half of that person’s picture was displayed. Most of the time it doesn’t hurt to make an emotional connection. The presentation I just described to you, used pictures of people that many of us would recognize, and that really helped to bring the point home. Even though you are often told just use the facts, your senior executives are human beings, and it is okay for them to see that you feel strongly about something. Remember all of the tips that we have discussed need to be weighed against what you know about your senior management team and your corporate culture. When you are seeking to persuade at your senior management, remember that you really draw from credibility, and this comes from relationships and expertise.